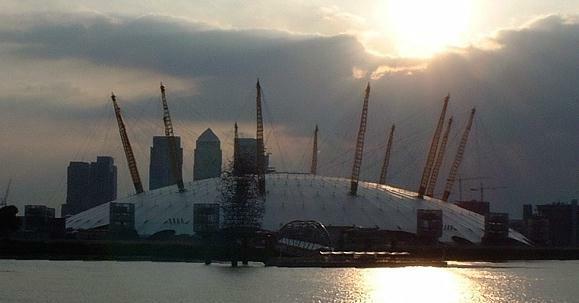 I took the train from Reading to Waterloo and then caught the Tube over to North Greenwich. A short walk from the station and I was there. The Exhibition opened at 13.30 so I more or less arrived as it opened. The Guests of Honour have all since passed on..
A few years later I was invited to the Wembley Stadium Complex where the "Big Piece" was on display. This piece is currently the largest Titanic artifact ever retrieved. It weighs an astounding 15 tons and measures more than 26 feet long. The 2010 O2 Exhibition is dedicated to Millvina and a large plaque on a wall inside tells her full story with a nice photograph of her on the left side. When it was at Greenwich the very first time the collection of artefacts seemed to total more than we saw at the O2 but it was pleasing to see the clarinet, the shoe, the wheel and the bell which I was actually allowed to touch on a press day some years ago. The bell is now in a thick perspex box so we can see but not touch. The exhibition is nicely set out with lots of floor space so people can look at items and read the attached explanations. When you purchase your entry, you are given a boarding card, a reproduction of the original. 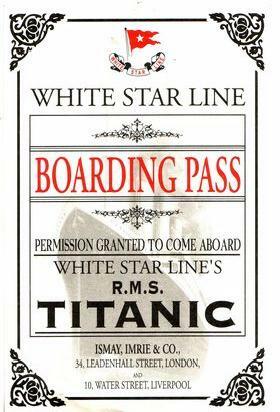 On the reverse is the name and profile of one of the people who was on the Titanic that fateful night. When you get to the large wall which shows a full list of everyone on board you can find out whether you were "saved" or "lost". 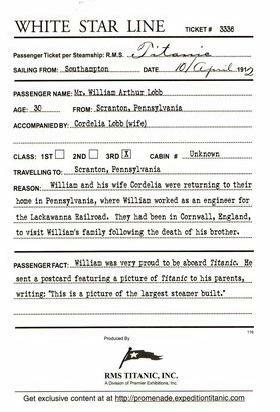 The Boarding Pass of William Arthur Lobb, aged 30. The intricately-detailed Grand Staircase replica is also on display. Visitors have the option of having their picture taken during the tour and purchasing it before leaving the O2. A nice souvenir of an interesting afternoon. I thank Rogers and Cowan who allowed me to take some photographs for this website. I show 2D and 3D...You must get some red/cyan specs !